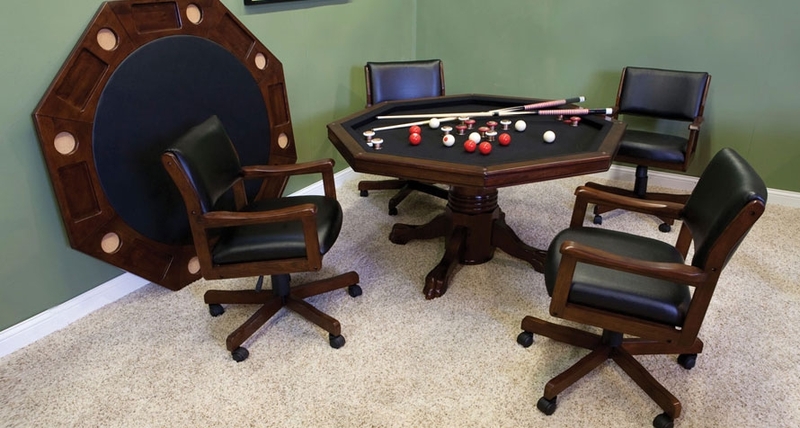 removeable / reversible combination dinning / poker top. bumper pool with die-cast bronze bumpers. 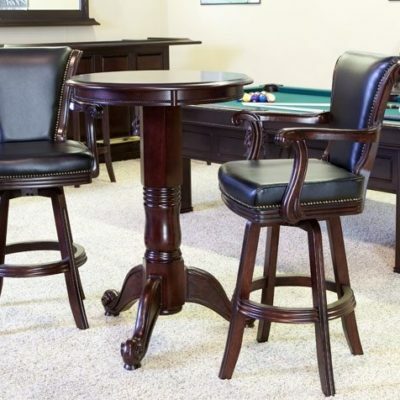 Classic turned pedestal with empire style leg feet. Adjustable tension for rocking motion. 5 spoke metal base for stability.